On April 4th, 2011, I participated in New York Law School's lecture series conference entitled "Advertising & Media Law: Spring Rush. Are YOU In?" to share marketplace insights. Not only did the conference explore how social media is affecting advertising and media law, but it also addressed mobile and legal. Other than serving as an expert witness, I have had limited professional dealings with lawyers. When Michael Rubin recommended me as a panelist to Anthony diFrancesca, New York Law School adjunct professor in the Advertising & Media Law section of Job Track - a certification program in the Institute for Information Law and Policy geared toward students pursuing careers in various areas of intellectual property law, including media & advertising, fashion law, video game law, and music law - I was intrigued. After all, social media is still evolving and laws haven't kept up. We're figuring out what's right with respect to privacy, contests, reputation management, customer expectations and intellectual property - to name just a few topics. The legal preference - to err on the side of caution and control - tends to come into direct conflict with social and community based preferences. In other words, it's a bit of a Wild West! Unfortunately, Michael Rubin, First Third National Bank could not join us as he had planned to do. He, David and I would have been the few non-lawyers present. Rolling Out a Multi-National Advertising & Promotional Campaign addressed how to ensure the knowledge of all international laws and regulations, navigating through cultural and governmental differences, hiring local counsel and identifying target markets. The Genius Behind Brand Integration, Brand Recognition, and Fantastic Tie-Ins explored 'doing the deal' and what are some common sticking points when negotiating brand integration deals? What are some of the intricacies of these types of deals (i.e., how much of the label do you show?). Avoiding brand overkill: How much is too much…of the brand? What does the future hold for these types of promotions? Particularly for big brands, bring in the legal team early. We're in the midst of an evolution; the government has issued rules where there weren't many. For example, Section 5 of the FTC Act prohibits "unfair or deceptive acts or practices". An endorsement is "any advertising message that consumers are likely to believe represents the opinions, beliefs, findings or experience of a party other than the sponsoring advertiser." ERSP says that you can't advertise untypical performance. Every social property has its own promotion guidelines. For example, Facebook says you can't ask people to like you to get free product. Twitter says they aren't responsible. Furthermore, the rules change regularly. It's wise to have a social media policy. For the record, undercover marketing is unethical. 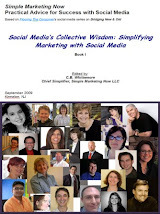 [It's also plain stupid from a social media marketing perspective. Just in case you had any notions.] Be sure to communicate with customers. Let them know you are advertising to them. I particularly enjoyed Google's Ted Lazarus' comments relating to mobile: 93% in the US have mobile devices. By the end of 2011, 50% will have a smartphone. Think about what is being done via those phones: searching, researching, emailing, purchasing, networking, taking photos and video... 79% of people are using their phone when buying; 74% are buying with their phones and yet 79% of large online advertisers have not optimized for mobile! He referred to the "oracle of mobile", Mary Meeker. Here is a link to Mary Meeker's Latest Amazing Presentation About the Future of Tech which is filled with delicious mobile details! 1 in 3 mobile searches have to do with local resources, to contact a business and visit a specific location. 15% of apps in the app store are local. This is useful, but sensitive information. Which rules apply? 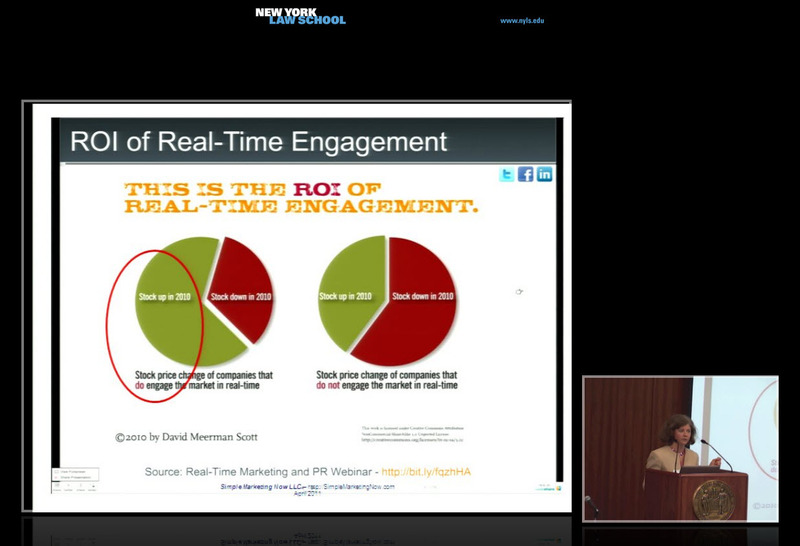 No statute or regulation precisely addresses the use of location within context of mobile marketing. Using location based options has to be opt-in to take into account privacy concerns. It must allow choice, selective termination where feasible and revocation. The last panel discussion includes fascinating details about how to promote and protect brands and enforce intellectual property, from the US Open, Mad Men and HBO. Thank you, Anthony, Andra Dallas, Dhyana Estephan, my fellow panelists and all those involved in organizing the New York Law School 2011 Conference! I enjoyed the experience. 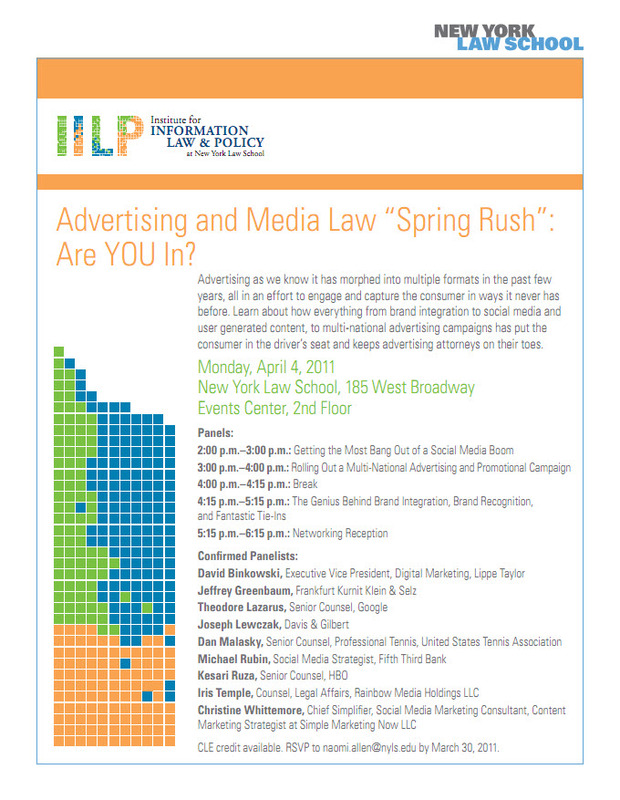 If you'd like to experience the entire New York Law School 2011 lecture series conference "Advertising & Media Law: Spring Rush. Are YOU In? ", click on this link. By the way, New York Law School writes the Ad Nauseum Blog. Having read all this, and possibly even listened to the conference, what are you reactions to social, mobile and legal? How do you see navigating the marketplace given all of the changes taking place?